This kit makes 2 separate buildings to form a warehouse and a mill. The buildings can stand alone or be joined with the supplied connecting bridge, a separate lift shaft is also included. 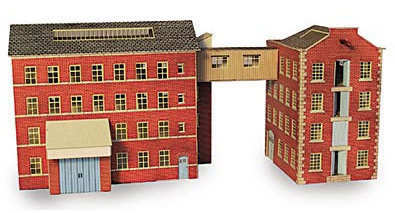 These buildings could be placed next to the factory kit (No PN108) to make a larger industrial site.